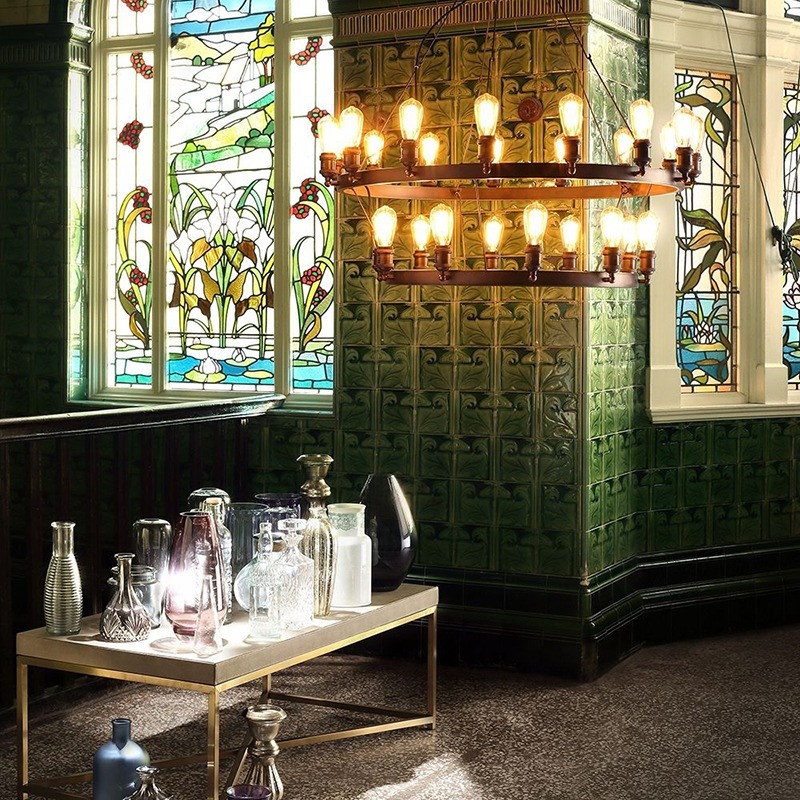 One of the biggest interior trends over the last few months has been the huge industrial movement and it’s showing absolutely no signs of going anywhere just yet, with endless amounts of stunning industrial inspired features on every shelf. 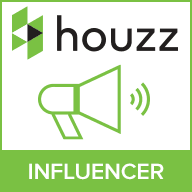 Now, if you’ve been stuck trying to find ways to integrate this trend into your own interiors, you’ve managed to end up in the right place! 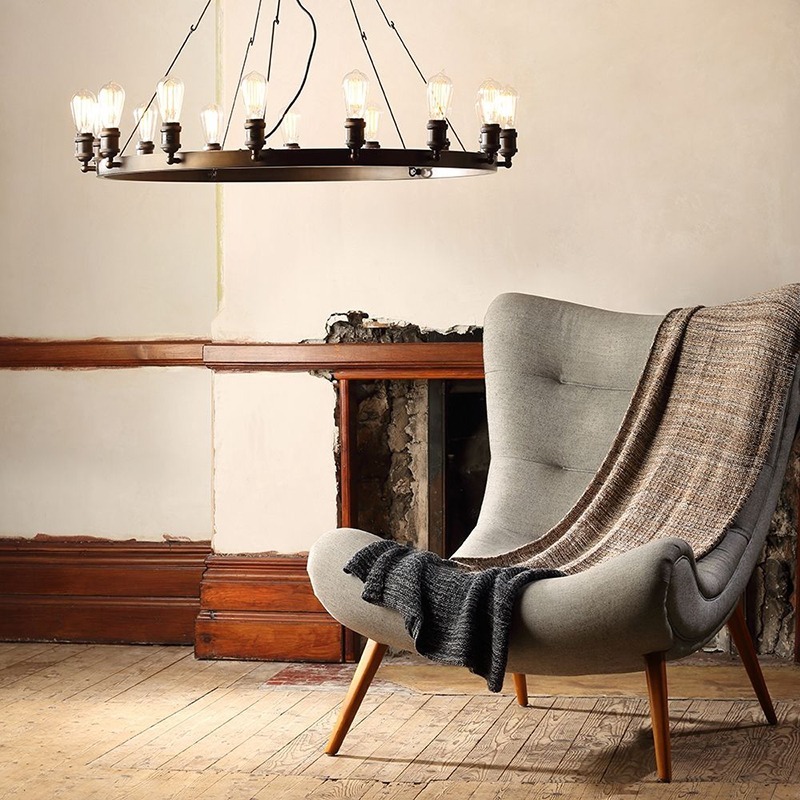 We think that one of the best ways to bring the industrial look into your home is through your lighting, particularly with statement pendant lights, so take a look at our top tips and suggestions, the let us know what you think below! If this is your first foray into the industrial theme, or perhaps you aren’t looking for something too overpowering, then a slightly more refined, less abstract piece might be a better fit for your décor. 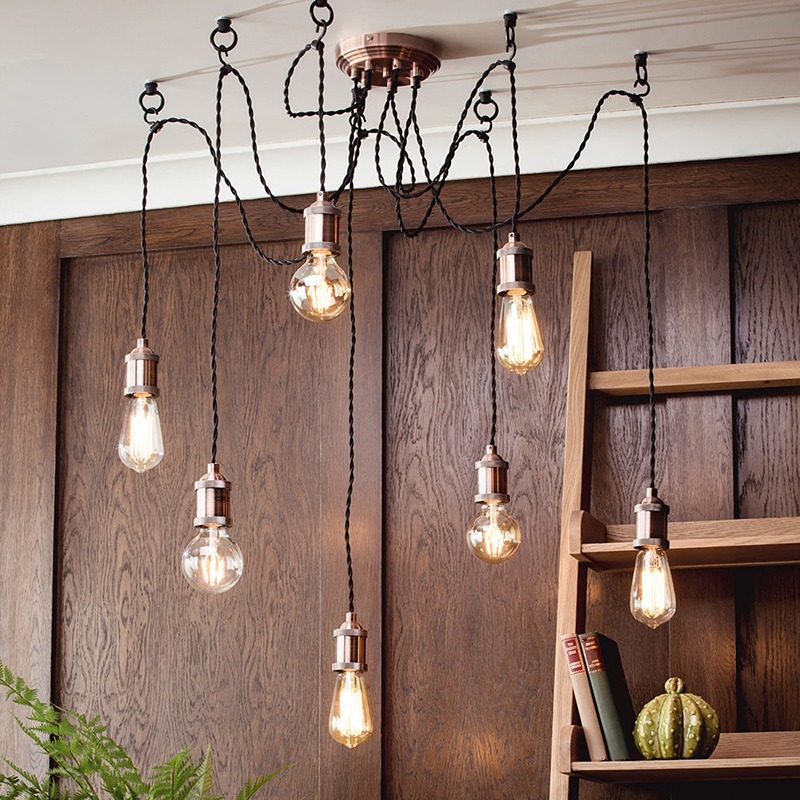 Luckily, the Alton is a great middle ground between bold and minimalist, thanks to the design featuring 7 braided cables hanging from ceiling hooks that reveal robust mechanical style bulb holders – this look brilliant when paired with a vintage filament bulb! The copper finish is also incredibly on trend at the moment, so you really can’t go wrong! For added practicality, the ceiling hooks and cables can be adjusted to suit your room’s structure, so the piece is entirely versatile depending on your needs. 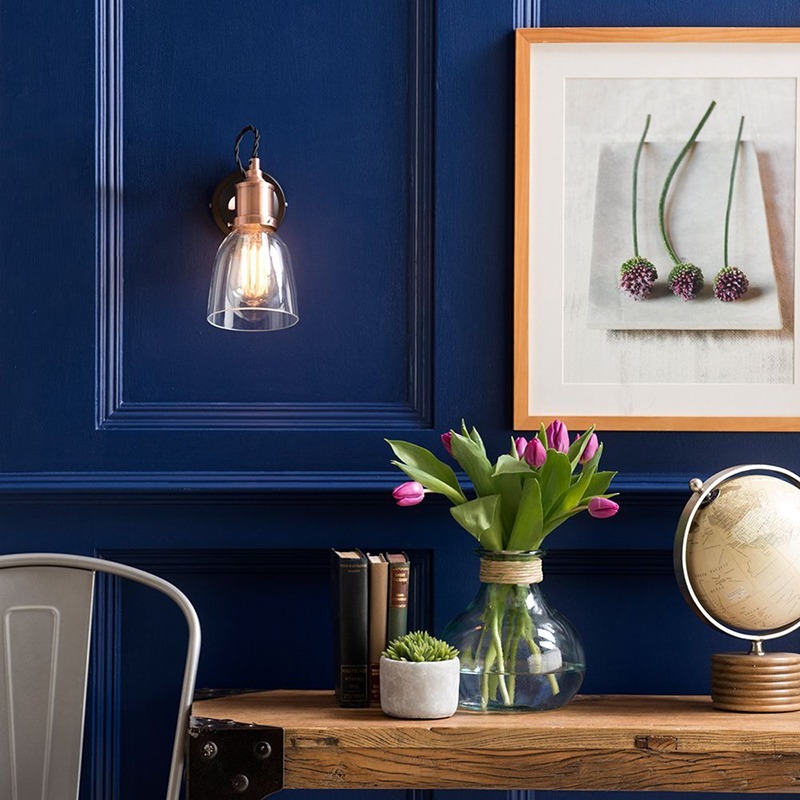 To complete the look, try incorporating an accent feature like the Industrial 1 Light Diner Style Wall Light into your arrangement, perhaps next to a chair in a reading nook or to give a softer glow over the sofa in the evenings! For those looking for something that packs more of a punch, a more unusual design might be more to your taste as this could completely dominate the décor for a showstopping industrial effect. 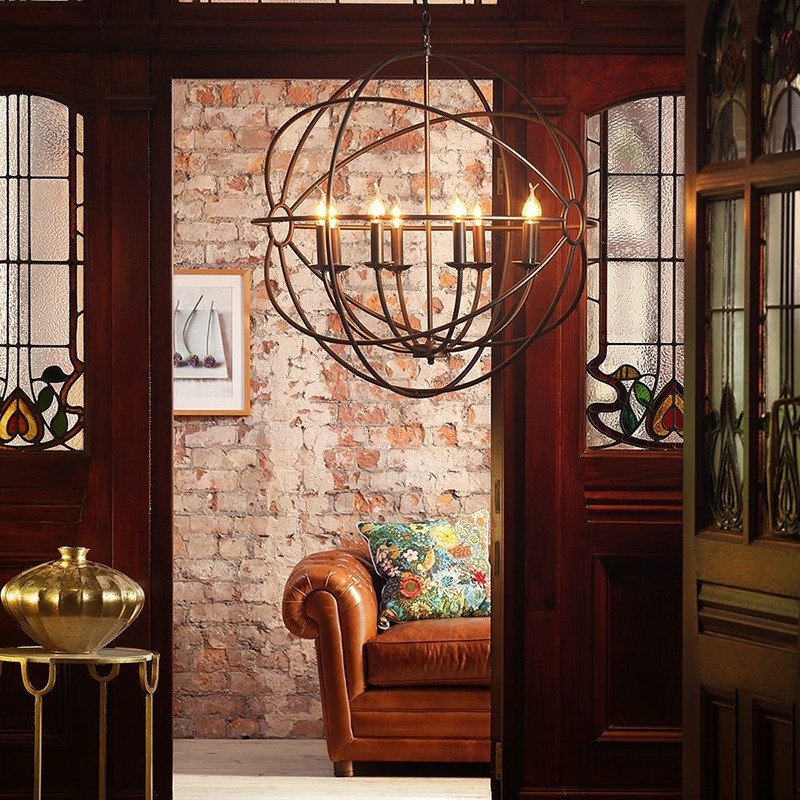 One of our most eye-catching fittings is the 18 light Steamer pendant, which may well be the perfect piece to use as the focal point for your industrial décor, with the unique structure hanging from the ceiling and sitting suspended in the air to act as the centre-piece in the room. 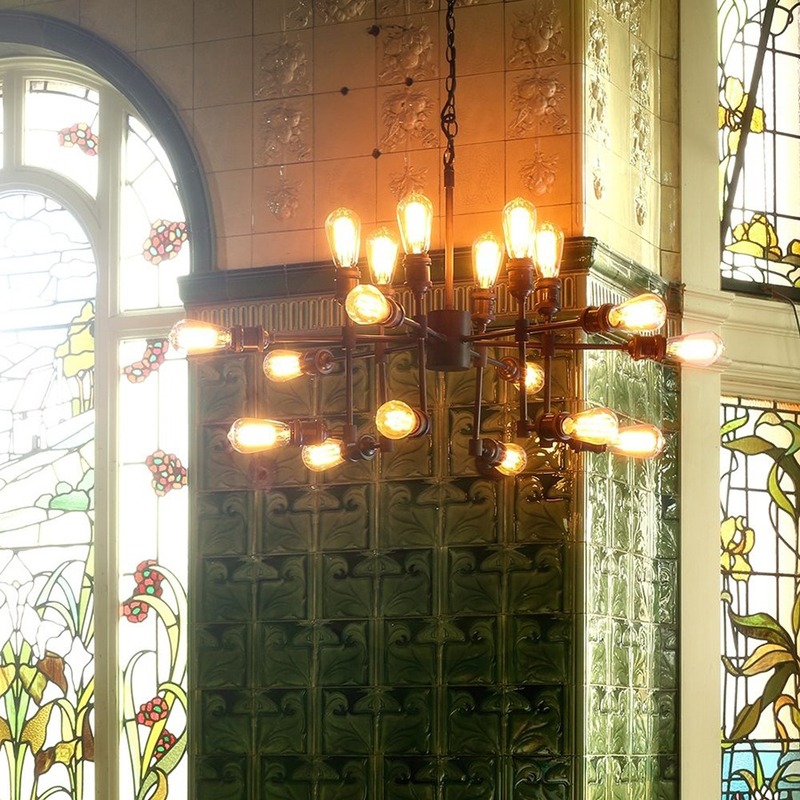 The structure features an arrangement of pipes that are topped with bulky bulb holders which, again, look great with vintage filament bulbs. 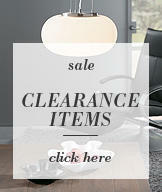 A perfect mix of contemporary and retro, the Steamer can fit into any modern décor looking for bold industrial tones. 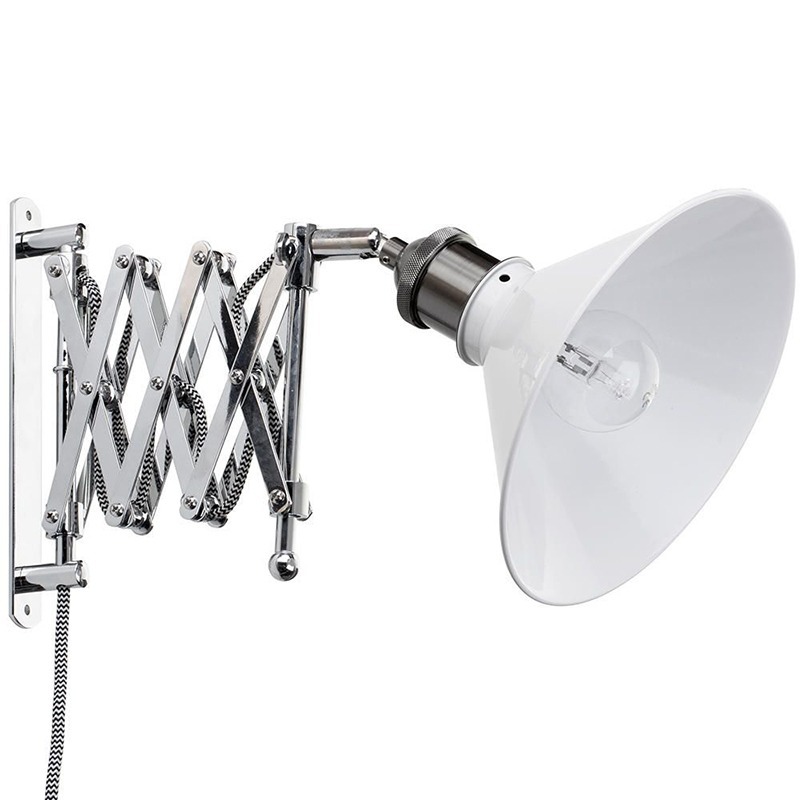 Finding an accent piece to go alongside this eclectic piece can be quite difficult, however, we think the mechanical feel of the Scissor wall light compliments the Steamer pendant’s pipework design really well, with white shade and chrome finish giving a cleaner, more modern image. Additionally, the scissor arm can be adjusted to give light to any area that needs it at any given time, combining style and practicality in one handy fitting. Another unusual piece is the Industrial Orbital 8 Light Gyro Rust Ceiling Pendant, which encases 8 lights inside of a rust coloured gyroscope inspired ball for an incredibly unique look. 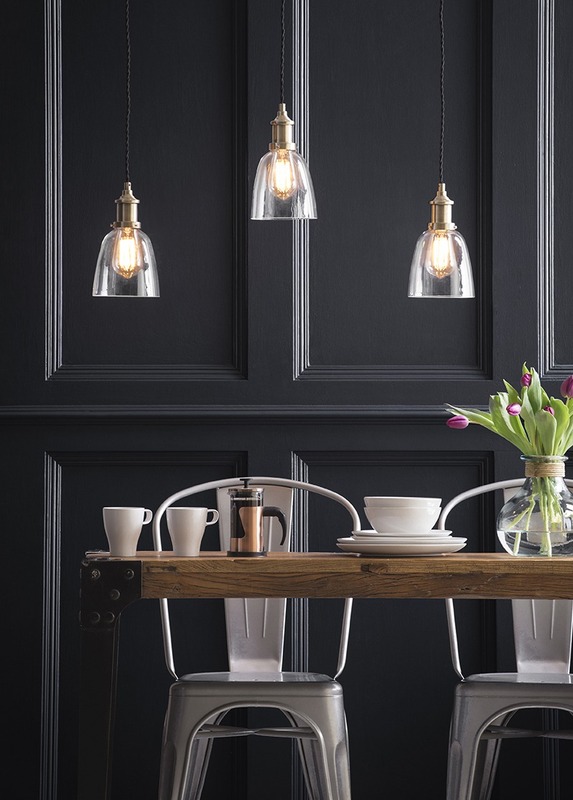 The pendant hangs from a robust chain, adding to the industrial statement that this piece gives to the décor, whilst the lights give a useful yet atmospheric shine out to the interior. Vintage candle style flame bulbs add the perfect finishing touch to this bold pendant, offering a retro vibe that’ll give a supremely stylish image to your home’s designs. Another unique style of pendant that’s popular in industrial decors is the cartwheel style pendant, which offers an incredibly even spread of light out to any interior they’re used in, really filling the space with incredible illumination. 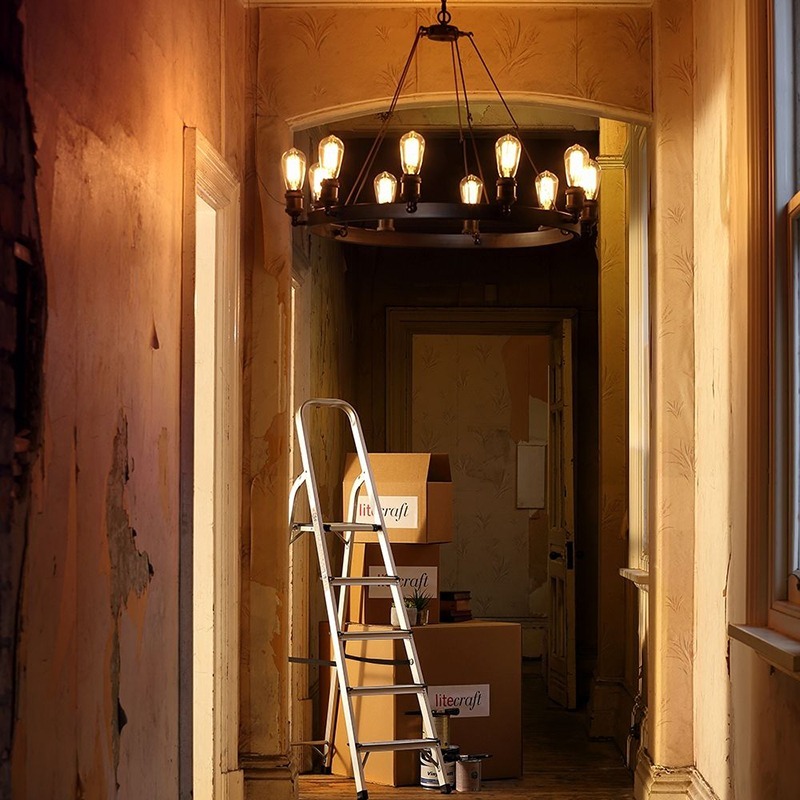 We’ve got cartwheel lights in a range of different sizes, so there’s always something to suit the specific structural requirements of your home. With 10 light, 15 light, and 25 light variations available you can be as bold (or as refined) as you’d like, with the rust finish fitting into any industrial interior with ease! The cartwheel shape has a very rustic feel that’s slightly less urban than our other fittings, helping to create a subtle vintage or retro tone in your industrial décor. For a personalised twist on the cartwheel designs, take a look at our Bespoke chandelier, which is available in a variety of sizes from 4 light to 18 light, and are custom built. 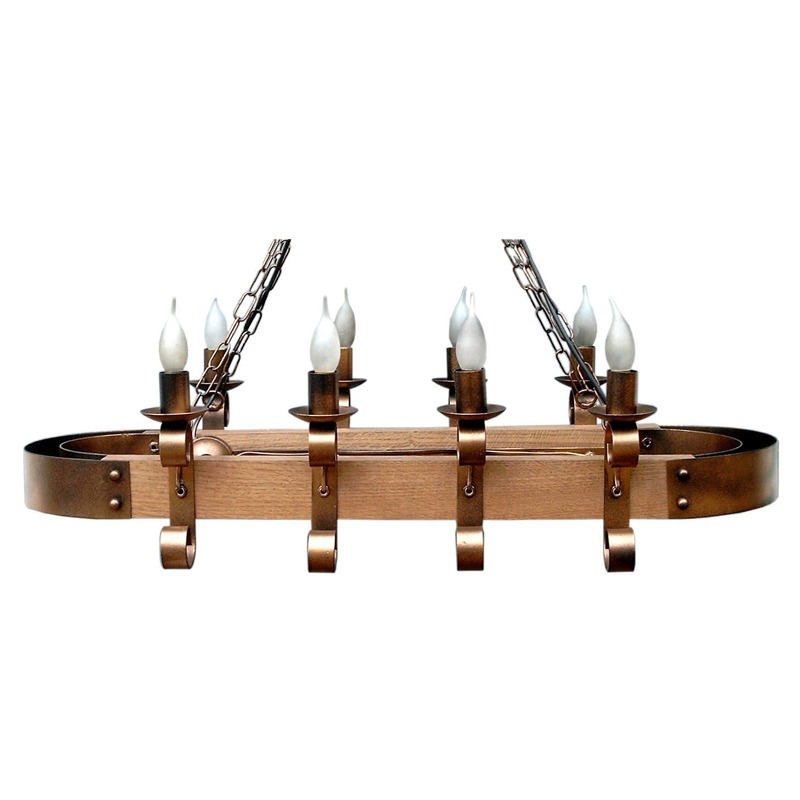 The genuine oak structure is decorated with forged metal features, giving a raw, rustic feel to the fitting. The suspension chains allow you to find the perfect hanging height for this fitting, making it a fabulous centre-piece for your industrial themed décor. Matching sets can help you to tie an interior’s designs together and it’s no different when it comes to lighting, with a consistent theme giving a far more satisfying feel to the space. 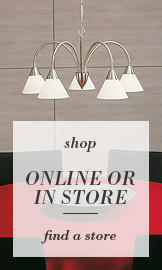 With Somerset, you’re given options to suit any room, with a range of sizes to give light to every type of interior. 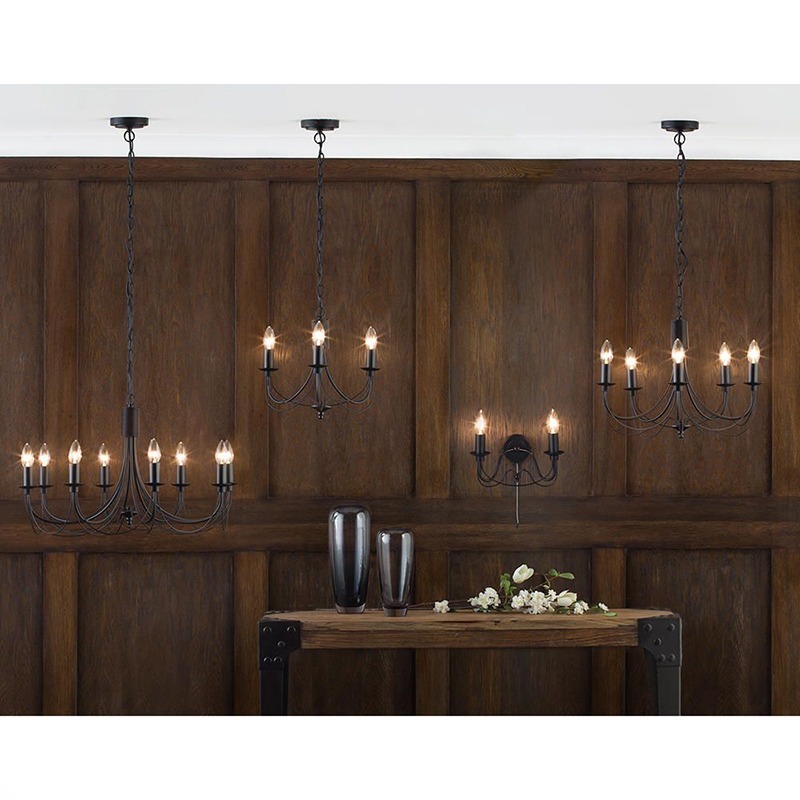 The fittings give a raw, industrial twist to the familiar chandelier structure and the results are truly phenomenal, giving a wonderful on trend image and sophisticated edge to any of your decors. A 2 light wall fixture partners the chandeliers perfectly, giving a softer ambient glow to the room to create a more relaxed atmosphere to unwind and relax in. We think that this makes the Somerset Collection a fantastic fit for the dining room, giving an elegant, refined tone to a space where the primary function in to unwind, chat and enjoy meals with the family. Hopefully you’ll now have plenty of thoughts buzzing around your brain and there’ll be a few ideas starting to form on how you’ll be able to bring a stylish industrial theme into your home, so let us know how your industrial décor turns out in the comments below! Never miss a beat on the latest lighting trends by keeping up to date with the tips and guides on our blog page!